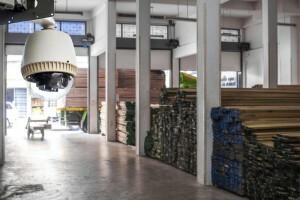 If you’re switching from an old analog CCTV system to a new IP video surveillance system, it’s important to ensure the system is properly designed. And while some aspects such as bandwidth, processor throughput, and storage are frequently factored into IP video design, others are either not considered or applied incorrectly, which can result in excessive storage requirements and operating costs. Learn about some of the lesser known components of effective IP video design in our blog. What are some of the problems with IP video design? The main problem with many IP video design strategies is that they don’t take all necessary factors into consideration, or they’re not applied the right way. For example, many designers calculate the bandwidth and storage needs for the system using resolution and frame rates. The higher the resolution and frame rates, the higher the image quality. However, many cameras are observing situations that do not require such a high frame rate. The result is a larger server than necessary, and the double payment for more storage space, and higher operating costs for a larger server. Cameras that are intended to specifically identify persons or license plates, will require the highest level of resolution. But if a camera is needed only to classify objects in a scene, the resolution requirements drop by half. Cameras that only need to gather general information such as traffic flow require about one-eighth the resolution of identification cameras. Lens selection is another important component of IP video design. Low-quality lenses are fine for general information cameras, but will not work for identification purposes, as they can’t focus to the necessary resolution. Depth of field is another important consideration in situations where a camera has a wide viewing area. But, because every frame needs to be recreated at the viewing station, higher frame rates force processors to work faster. And because many viewing scenes don’t contain much information, frame rate can be reduced without affecting the quality of the stream. This entry was posted on Thursday, April 2nd, 2015 at 1:21 pm. Both comments and pings are currently closed.